Pastry Chef Vicki Wells from Buddakan baked some great chocolate cakes at the Valrhona sponsored Demo. 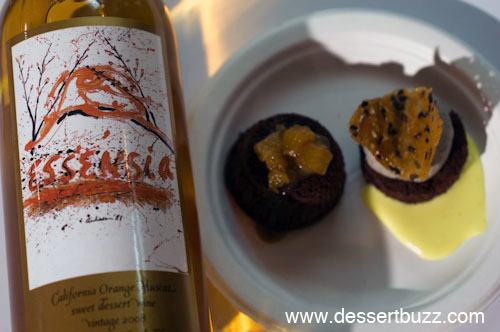 I smuggled a serving Vicki Wells chocolate cake out of the demo theater so I could do an impromptu pairing with some Essensia dessert wine. 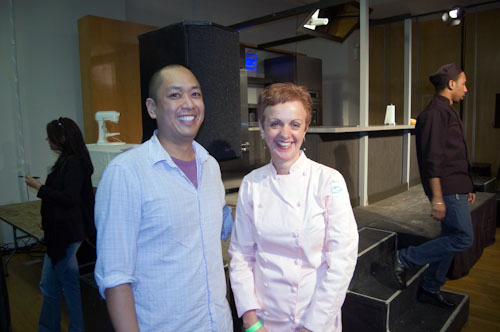 Jerome Chang and Vicki Wells, two stars of the New York Pastry scene. 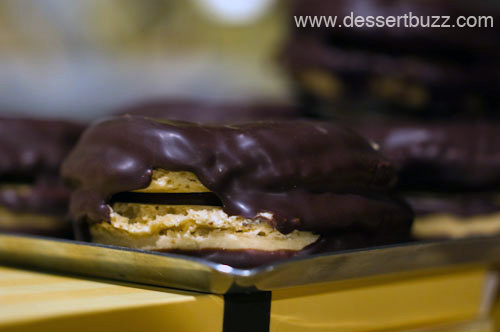 One of deals of the show $3.00 for a giant sized Payard peanut butter macaron dipped in dark chocolate. 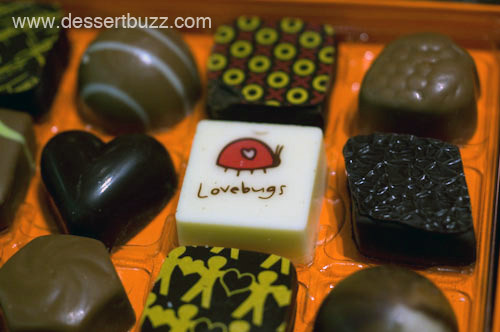 Jaques Torres chocolates make a nice gift. The New York Chocolate Show runs Nov 11-14 at the Metropolitan Pavillion. Tickets are $28.00 if you purchase in advance and $30 at the door. 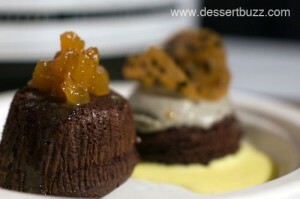 For more information about the The New York Chocolate Show visit their website here.